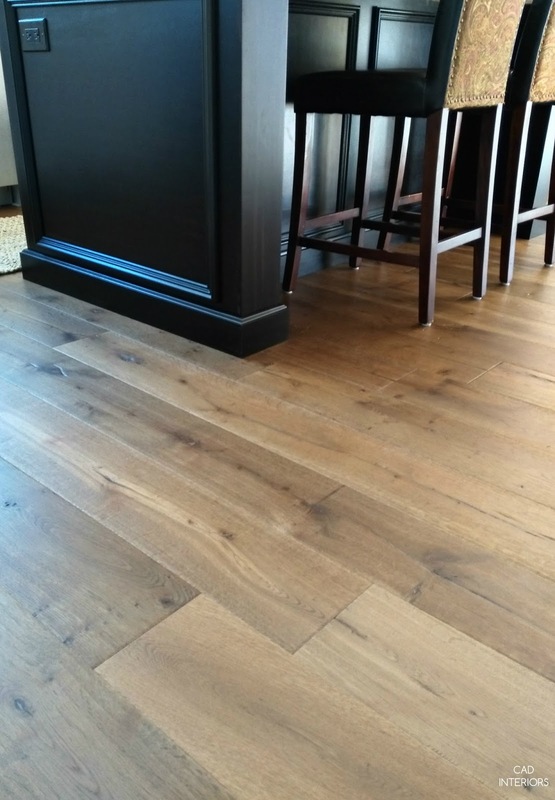 While planning our kitchen renovation, one thing I was certain about was that I wanted the island to have a more furniture-like appearance within our open concept great room. 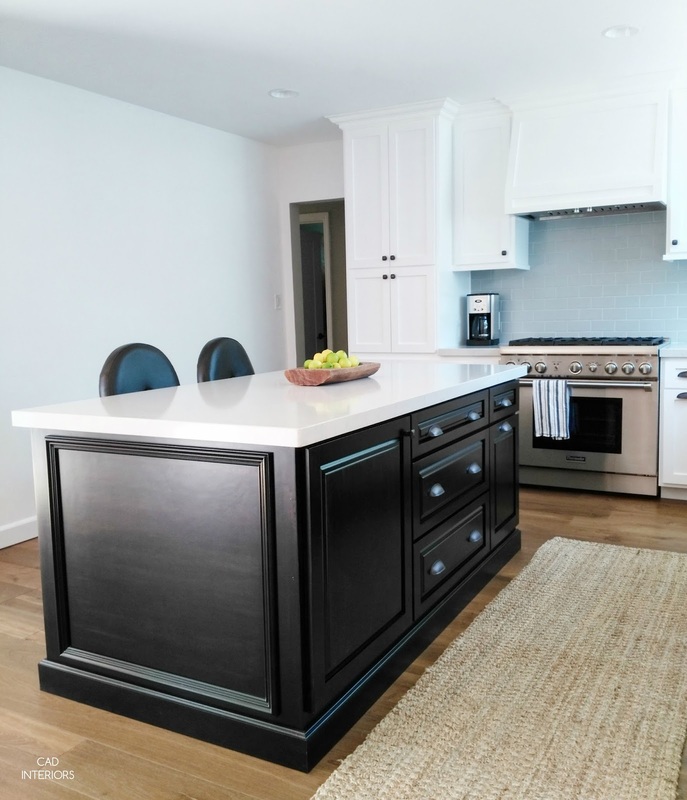 To achieve that, the island countertop was aligned to the "base" of the island, and the side profiles extended and paneled to give it a more finished appearance. 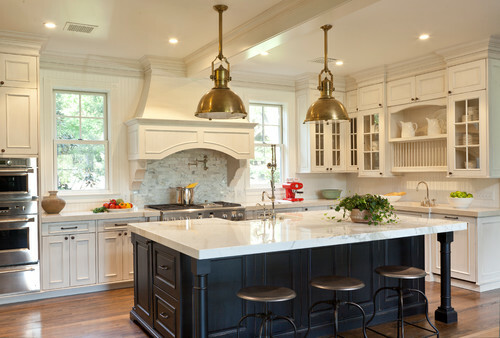 Decorative corbels or brackets are often used in "legless" island base designs to provide a more finished appearance. In the project I am working on, the island will be designed without legs to accommodate "wraparound" seating! 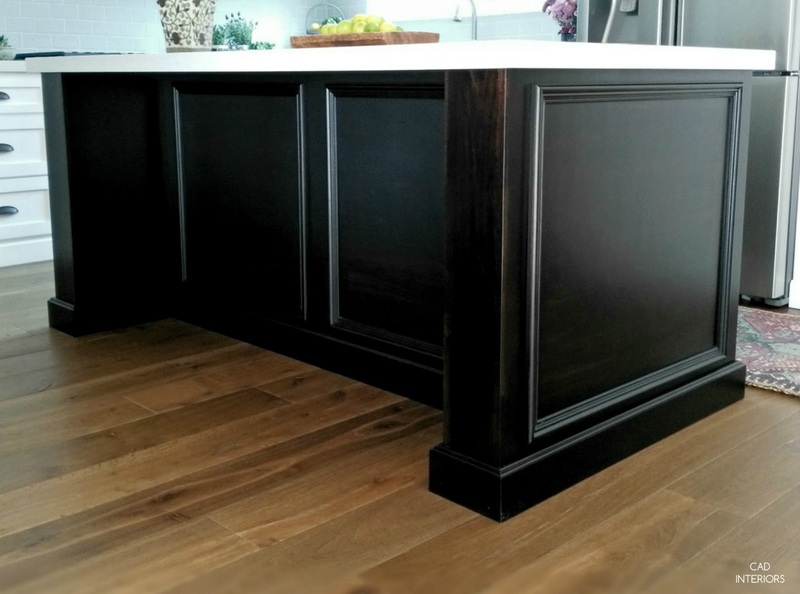 Leg posts are added to meet the "end" of the countertop. 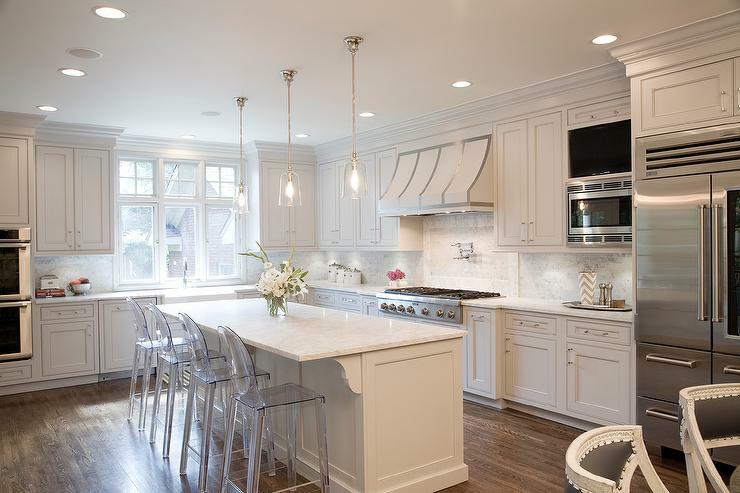 This is a good option if you don't want to completely close off the base of the island, but would like to extend the table surface well beyond the support provided by the cabinetry. 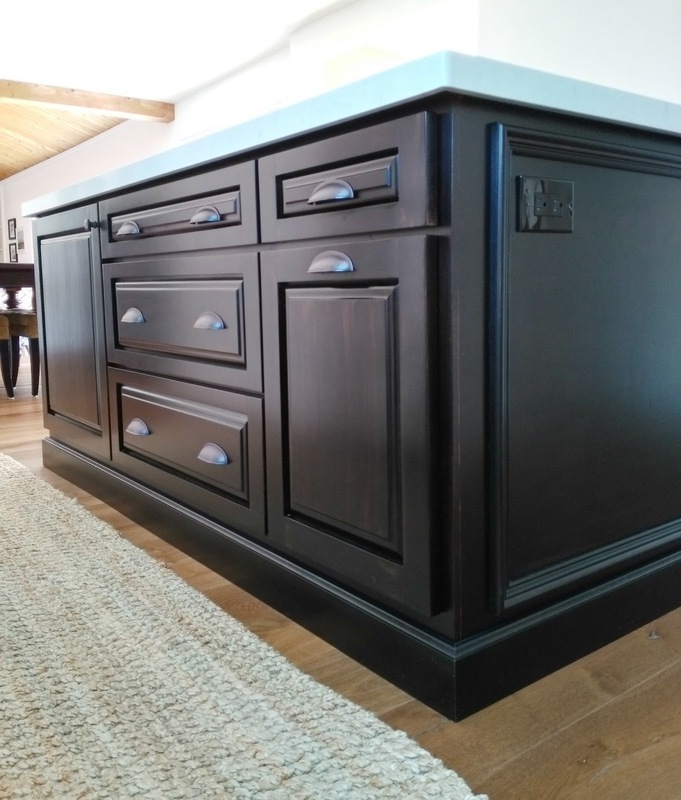 The "leg" area of the island is completely recessed and hidden under the countertop. This option helps make the island look more like a stand-alone piece of furniture.